Alice Medrich's newest work, Flavor Flours, treats non-wheat flours in exactly the way that they should be treated. Not as gluten- or wheat-free substitutes, or self-labelled "superfoods" that have "health benefit this" or "antioxidant that". Instead, they are treated simply as ingredients that add a different dimension to baked goods through their various and unique textures, colours and flavours. One thing I particularly like about Flavor Flours is that each chapter (featuring one of the various flours) begins with a humble sponge. I think this is a wonderful way to gauge and compare each of them texturally and, since there's little else there to compete, lets you experience the true character of each flour in a simple and familiar medium. While not the most passionate of sponge devotees it really is one of those classics I feel you should know how to make, and I was keen to see how it fared when challenged with a change in one of its key ingredients. Having a go at the oat flour sponge I found that it was still wonderfully light in texture and, as promised, had a more complex flavour than the classic wheat-flour-based version, with lovely overtones of caramel and a warm hint of porridge. I think it would go wonderfully with some freshly-whipped cream and a tart plum compote, but since I've recently been tasked with surviving another bells-and-whistles unit at baker school I decided I'd better practice my kitchen flounce, embellishing it instead with some some candied apple, hazelnut praline buttercream, and a sprinkling of oat crunch. Quite the tasty combination, really. Sift the oat flour into a bowl. 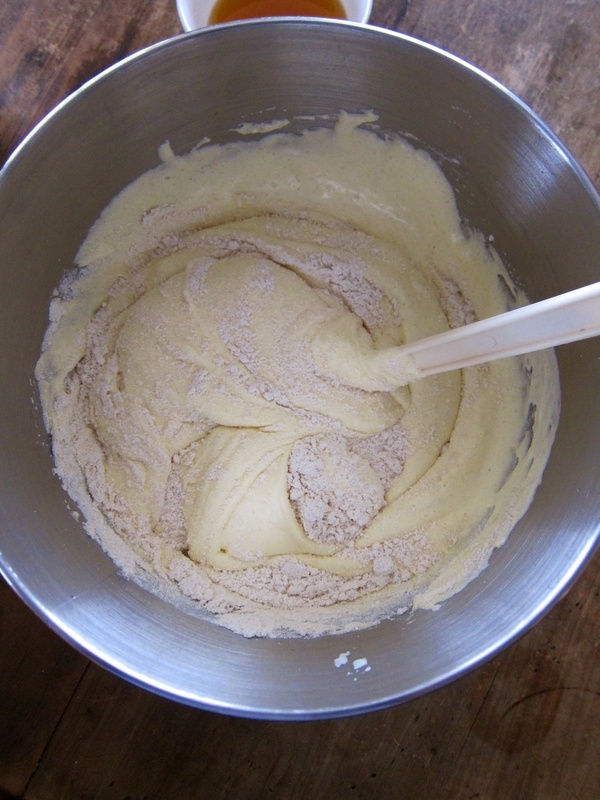 Combine the eggs and sugar in the bowl of a stand mixer and whisk on high speed until lightly coloured and tripled in volume, around 4-5 minutes. Sift one-third of the oat flour over the eggs and gently fold through until almost combined, then repeat twice more, folding each addition through until just combined. Mix one-quarter of the batter through the hot butter until completely blended, then fold this mixture through the remaining batter until just combined. 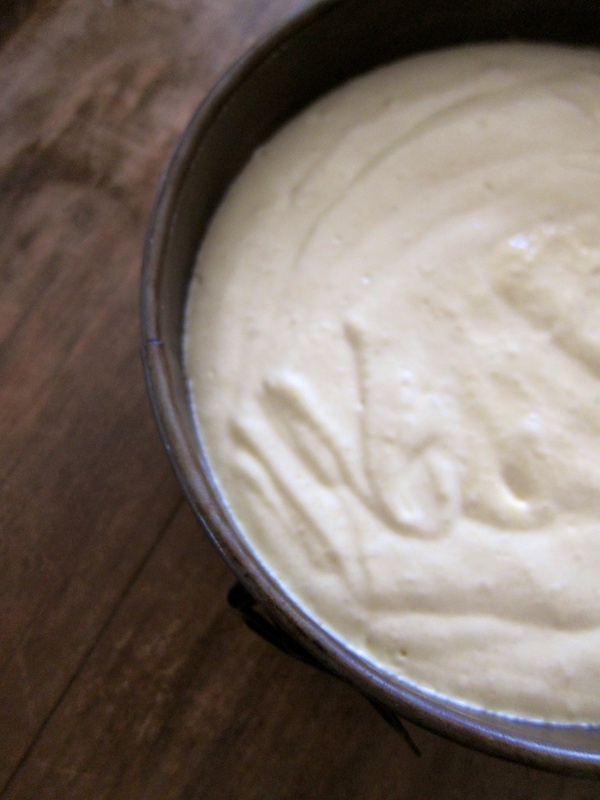 Pour into a 20-cm round tin (based lined with baking parchment, leave the sides un-greased) and bake at 180°C for around 35 minutes, until golden brown. Remove from oven and, while still hot, run a spatula around the inside of the pan to loosen the edge. Set on a wire rack, to cool. Heat the sugar and water in a medium pan until deep golden caramel in colour. 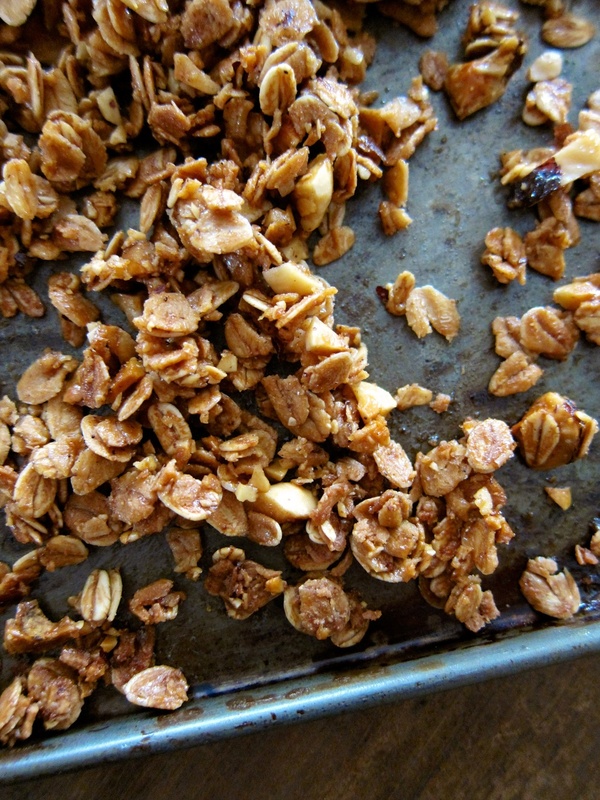 Add the nuts, stir to coat and then pour onto a baking sheet lined with parchment and leave to cool. Once the caramel has set, break the praline into shards and then blitz in a food processor until you have a fine powder. Peel and core the apples and cut into 4-mm-thick slices. Place in a medium pan with the vanilla and half their weight in sugar and cook over low heat, until translucent (about 45 minutes). Most of the liquid will have been absorbed by this stage. Remove from heat and leave to cool. In a small bowl mix together the nuts, oats and spices. Combine the sugar, honey, maple syrup, oil and salt in a small pan and stir over medium heat until the mixture is warm and the sugar has dissolved. Pour over the oat mixture and toss to coat. Spread onto a baking tray and bake at 180°C, stirring every 10 minutes or so, until golden brown (20-30 minutes). Remove from the oven and leave to cool. Combine the egg whites and sugar in a heatproof bowl of a stand mixer and place over a pan of simmering water, whisking gently until the sugar has dissolved and the mixture is warm to the touch. Remove from the pan and whisk on high speed for around 10 minutes, until the meringue is glossy and stiff, and just lukewarm. With the mixer running at medium speed slowly add the butter, a few pieces at a time, waiting until combined before adding more. Once all the butter is added you should have a silky smooth buttercream. Fold through the hazelnut praline and set aside. 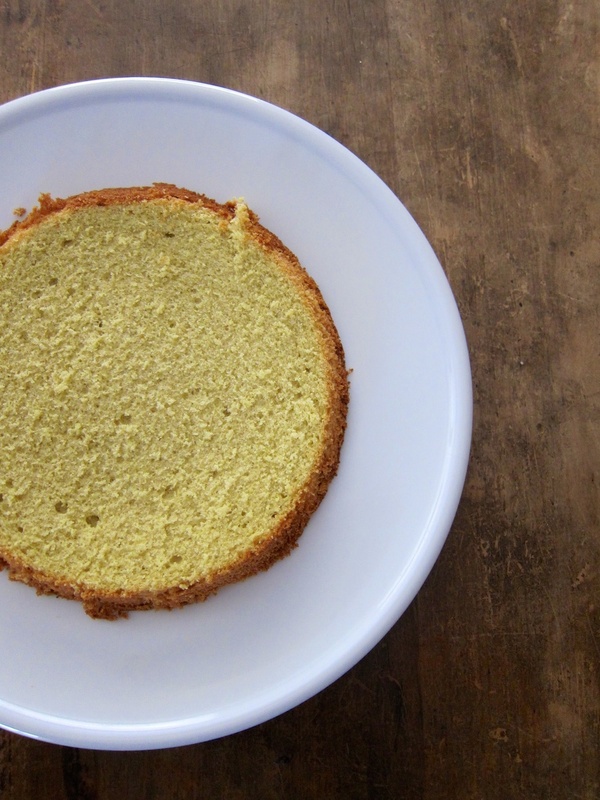 Slice the sponge in half and spread a layer of buttercream over the bottom half. Top with a layer of candied apple then cover with the top half of the sponge. Spread a thin layer of buttercream over the top and sides of the cake (this is the crumb coat) and refrigerate for 10 minutes. 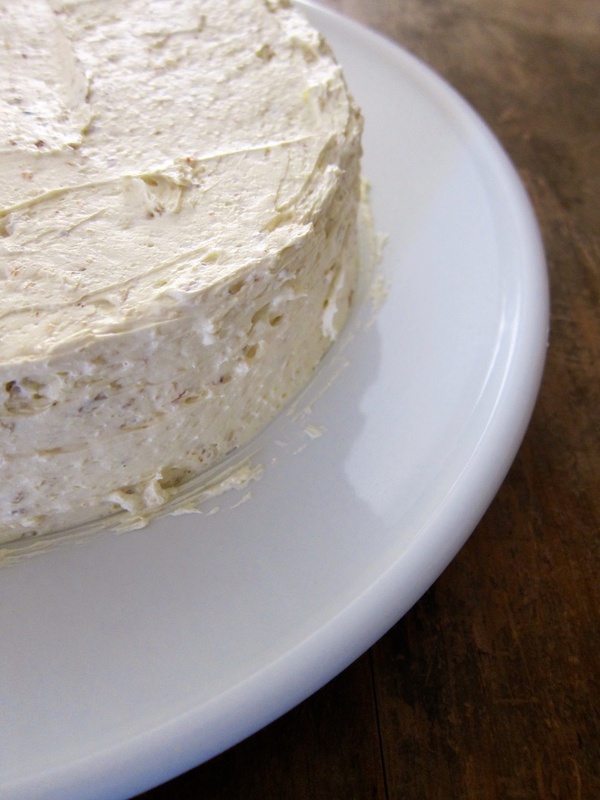 Repeat with a second coating of buttercream and smooth the top, to finish. 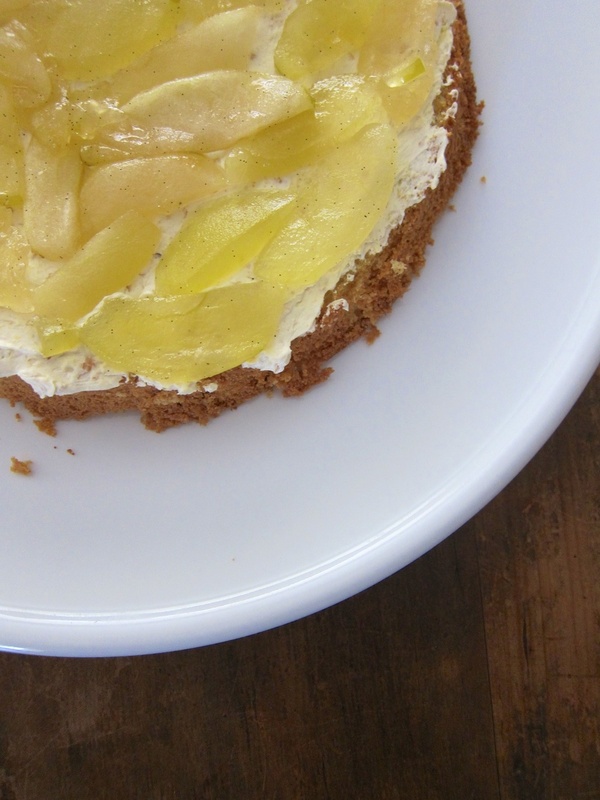 Press a layer of oat crunch onto the sides of the cake and decorate with the remaining slices of candied apple. ** See here for a good explanation of how to clarify butter. I let mine brown for a bit of added flavour, but this is optional. ** Most recipes included here make more than you need for the final cake. The praline and oat crunch will keep well at room temperature stored in an airtight container. The buttercream can be frozen for up to 1 month, just bring back to room temperature and re-beat before using.